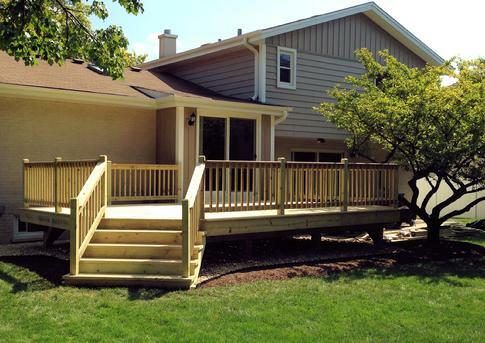 Quality wood and vinyl deck construction and deck repairs for all of Darien, Illinois. Join our ever growing list of satisfied Darien deck customers. The Darien building department has some specific deck requirements which are not always the easiest to figure out, let alone fullfill. 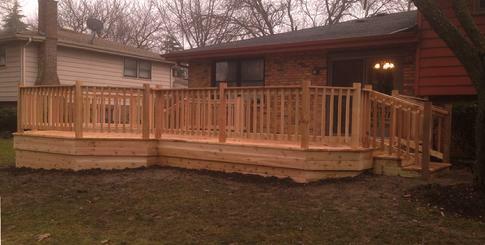 Below is a sequence of photos taken during the construction of a cedar deck from the Fall of 2013. A-Affordable Decks' quality deck construction and designs are near impossible to beat!